A CSIRO-led innovation that enables fast automated analysis of rock materials directly from drill sites is to be commercialised, opening the way for millions of dollars worth of potential cost and time savings. The Lab-at-Rig® technology that CSIRO has developed in partnership with Imdex and Olympus, under the Deep Exploration Technologies Cooperative Research Centre (DET CRC), enables chemistry and mineralogy of rocks found within a drill hole to be analysed within minutes of drilling. The new technology features automated analysis of mineralogy and geochemistry of drill-hole cuttings direct from the drill site, while still offering the relevant sampling methods and quality control current processes use. “Ultimately, Lab-at-Rig® will provide improved decision making and productivity for mineral resource operations,” says Dr Uvarova. The Lab-at-Rig® system, fitted to a diamond drill rig and Imdex’s AMC Solids Removal Unit includes: a sample preparation unit that collects solids from drill cuttings and dries them; Olympus X-ray fluorescence and X-ray diffraction sensors to provide chemistry and mineralogy of the sample respectively; and the ability to upload data to REFLEX’s cloud-based platform where it can be analysed and provided back to the explorer. This technology will provide a great advantage over the current process which can take three months and often millions of dollars to set up the drill sites, drill, extract, sample and log the drill cores, send to a lab for analysis, enter data into a database and finally provide information back to the company. Lab-at-Rig® offers a one-hour cycle for the whole process enabling rapid decision making and cost savings. 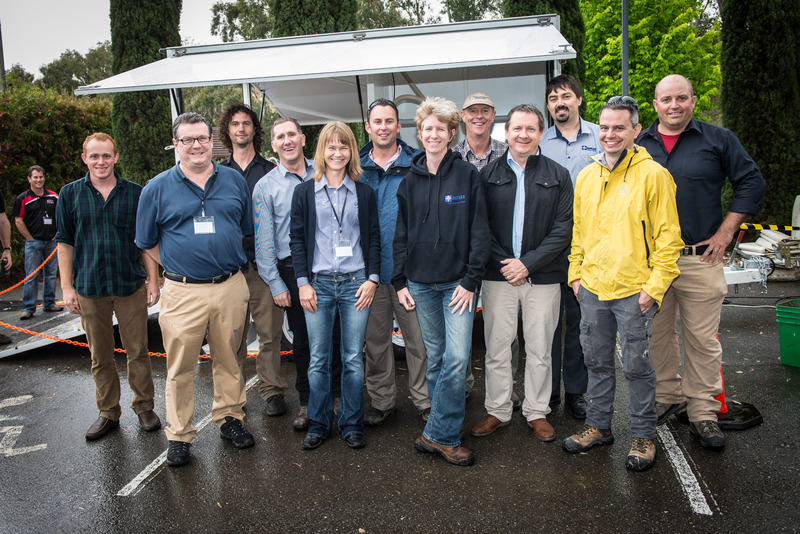 Lab-at-Rig®, is the product of two years of research and development and a tribute to the successful collaboration of the research and industry partners through the DET CRC, according to CSIRO’s Discovering Australia’s Mineral Resources Program Director, Dr Rob Hough. “The way that Imdex, Olympus and CSIRO have worked together on this through the Deep Exploration Technologies CRC has been crucial and critical to delivering this world-class technology in such a short timeframe,” Dr Hough said. REFLEX, a business in the ASX-listed Imdex Group of Companies, is the commercialisation partner for the technology. CSIRO, Imdex, Olympus, University of Adelaide and Curtin University are now working on the $11M collaborative DET CRC Lab-at-Rig Futures Project which will build the next generation system to cover: new sensor technologies, improved data analysis and processing for decision making, and development of the system for new applications and drilling platforms. Lab-at-Rig® technology arose out of an idea to analyse on-site the solid matter in fluids (shown here) that come to the surface during drilling. 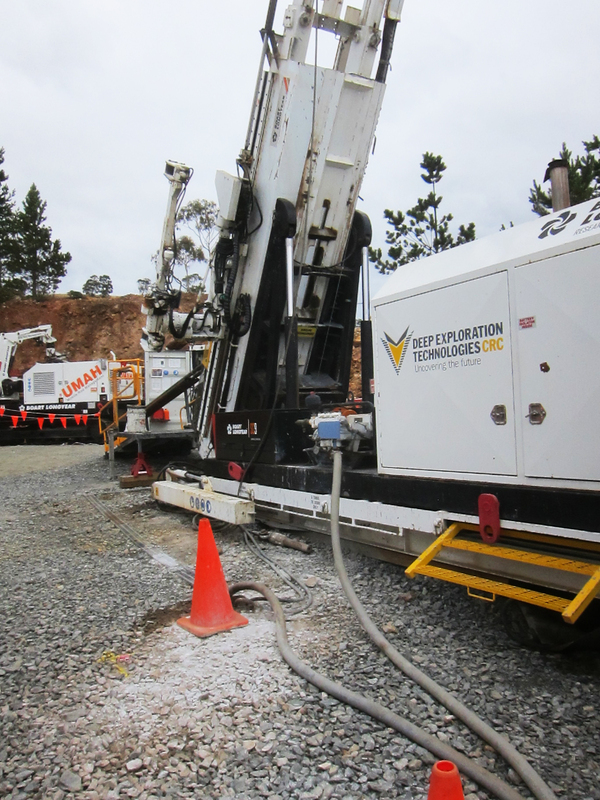 Drill rig at the DET CRC Brukunga Drilling Research and Training Facility in South Australia.